When I bought my 16GB Samsung Galaxy S3 last year, I did so with the plan to also buy a 64GB SD card, pump my total storage to a whopping 80GB and save a little money in the process. Little did I know at the time that Google planned to steer away from using external storage. 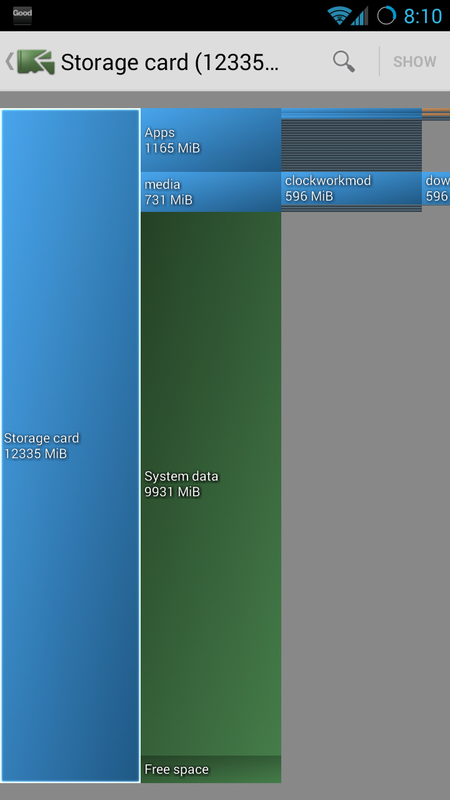 As a result, my SD card is largely unused since only a small number of the apps that I've installed allow me to set it as a target storage location (Camera and Pocket Casts primarily plus one more that I'll mention later) while the applications themselves require installation on "internal" storage. I do not install a huge number of app and those that I do install tend to be pretty small. Imagine my surprise when updates would no longer come down from Google Play because insufficient storage was available. 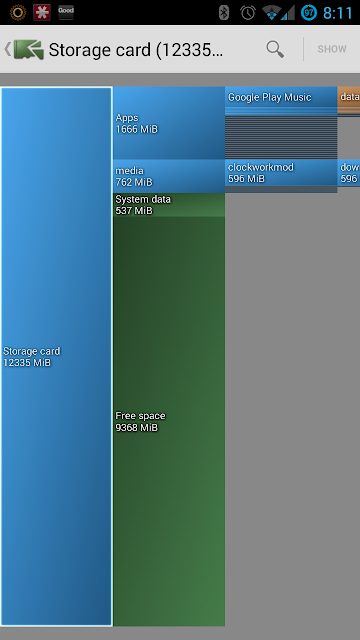 I uninstalled a couple apps and then installed Disk Usage to give me a general idea of what was what. As you can see above, I didn't get the detail that I was hoping for. That's not really the fault of Disk Usage, though. Some applications put things in this "System data" area and call it a day. After a little digging, I found the culprit. In my particular case, it was Cyanogen's ROM Manager that was hungry for storage. More specifically, it was more some poor choices I made when I installed it. But I'm getting ahead of myself. Let's rewind. Look at all of that free space! 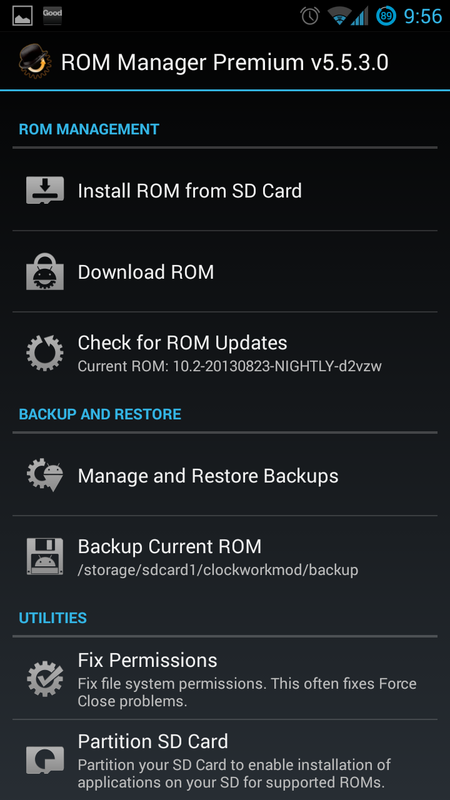 If I go into ROM manager and perform a backup using the default settings, we see an immediate impact on storage to the tune of ~1.7GB. Manually performing backups would be bad enough, but the act of doing this repeatedly would (should) trigger most people to think, "Hey! All of these backups are going somewhere. I might need to take care of those old backups." My brain and I, however, have never been on the best of terms. 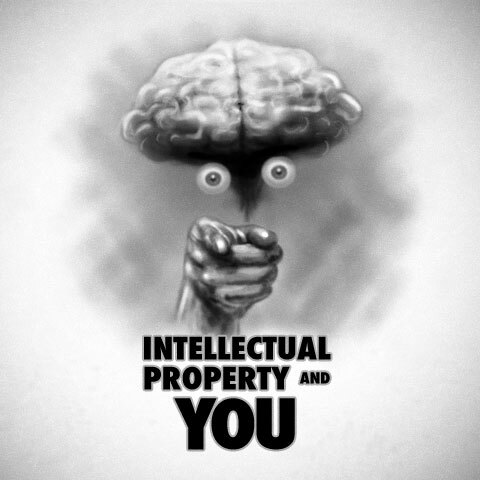 Brain: Hey, Tom! Why don't you do a backup every few days? You know... Just to be safe. Me: That seems reasonable. You're so smart! So I set up an Automatic Backup with a frequency of four days, thus sealing my fate. Every four days I would sacrifice 1.7GB on the Altar of Pointless Activities. The immediate solution (and probably the reason you are here) is pretty straightforward. 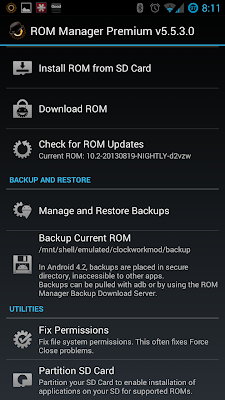 In the "Backup and Restore" section of the ROM Manager settings, there is an option to Manage and Restore Backups. 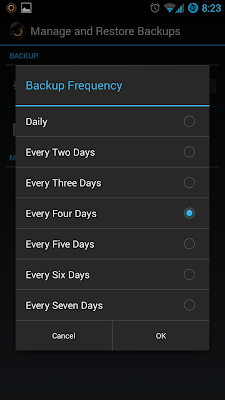 Tapping this should pull up the following which lists each of the backups that are available. Tap the backup you're interested in and then tap Delete to free up some precious disk space. 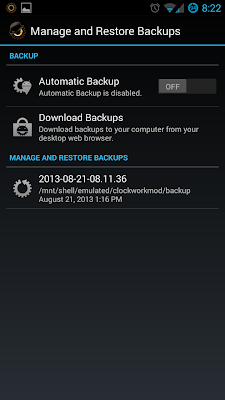 First, I probably did not really need a backup every four days. 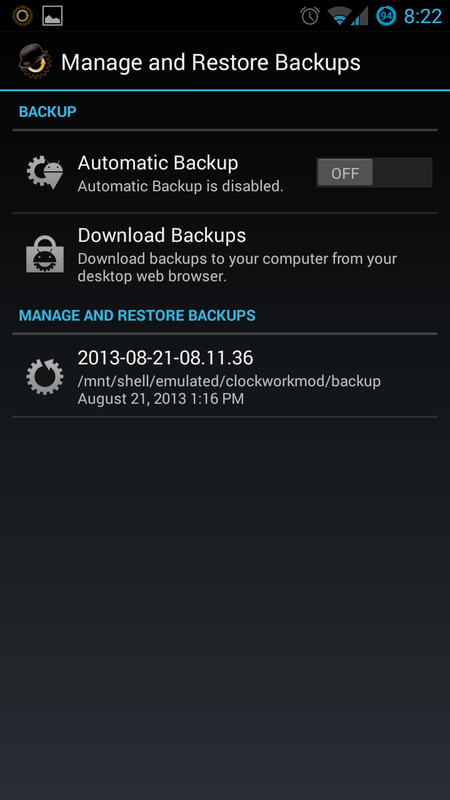 I'm not sure an automatic backup is even necessary in most cases. If you feel better having one, you need to commit to managing those old backups in some way. Personally, I'm way too lazy for that. 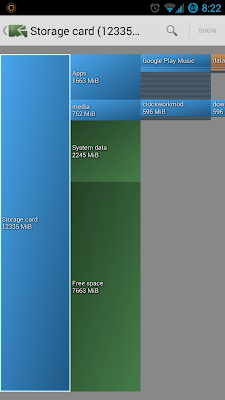 Next, remember earlier when I mentioned that some applications allow you to store data on an external SD card? 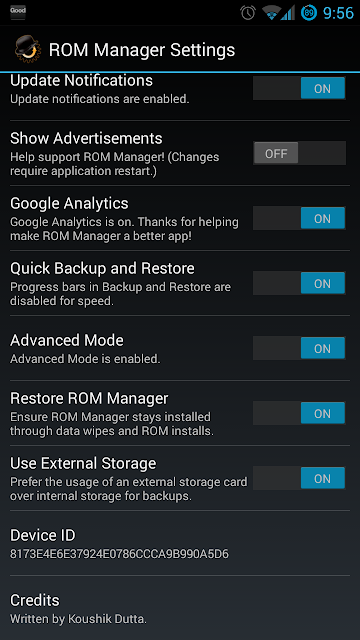 Yeah... ROM Manager is one of those applications. 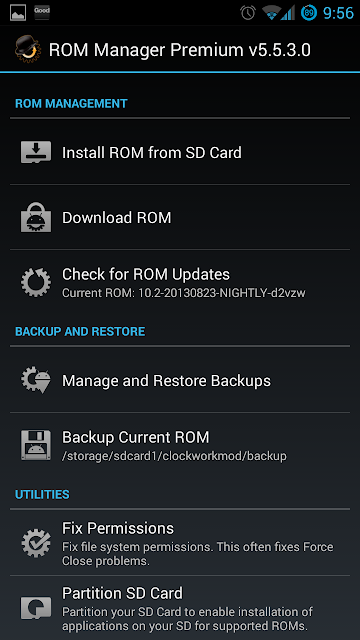 If you slide all the way to the bottom of the ROM Manager Settings list, you will find the option to "Use External Storage". 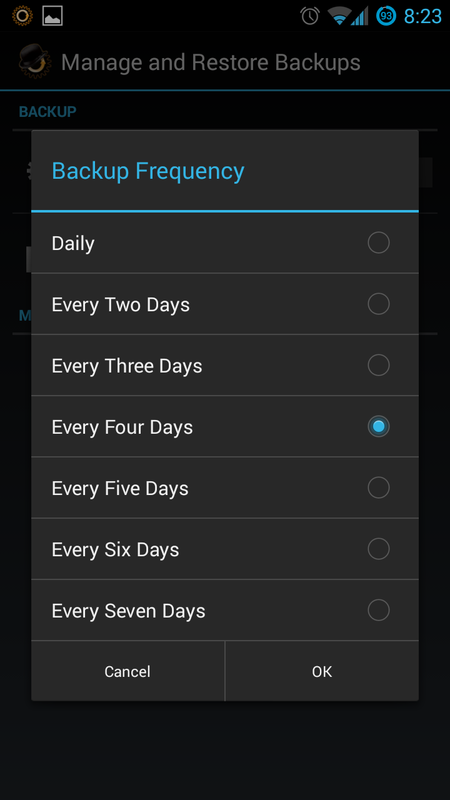 If you've got the storage, toggle that to "On". It's smart for several reasons. 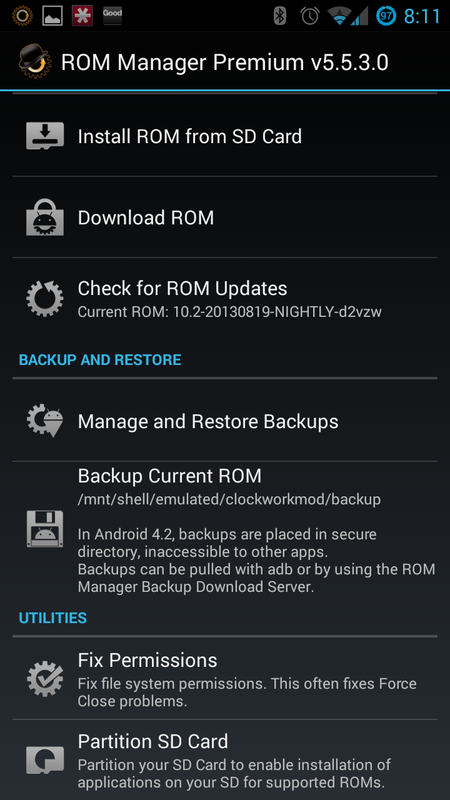 Once toggled you should see the change reflected in the path shown under the "Backup Current Rom" option. I've noticed this question cropping up in several places lately. The particulars of your situation may be different. 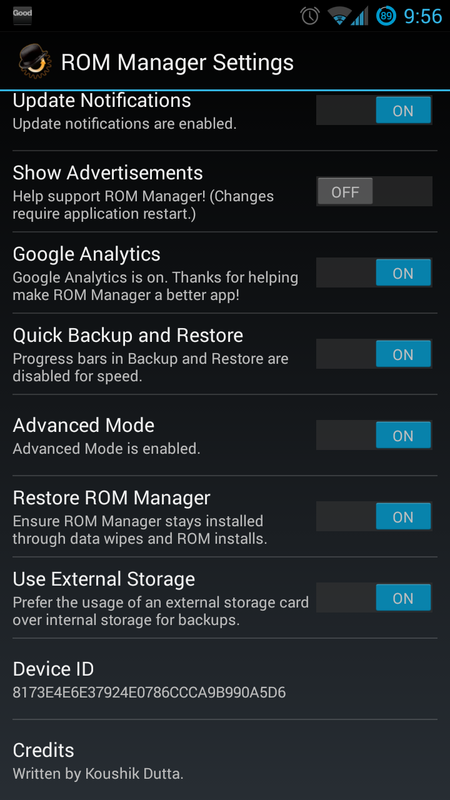 Maybe you don't use ROM Manager specifically, but rather some other utility. The concepts are the same. Think about anything you may installed that creates large files, clean those files up and then investigate the app's settings to see if there are some options to better manage your resources.